Product prices and availability are accurate as of 2019-03-03 01:06:16 EST and are subject to change. Any price and availability information displayed on http://www.amazon.com/ at the time of purchase will apply to the purchase of this product. This plant tends to grow anywhere from one foot (0.30 m) to three feet (0.91 m) tall, and should be spaced out about two feet (0.61 m) from each other when planted next to other lemon mint plants. 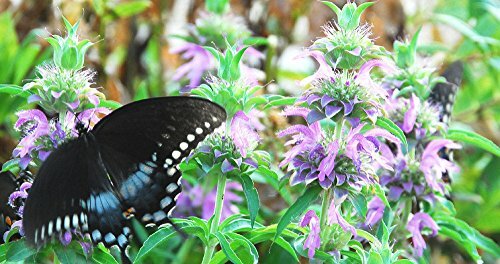 It requires either partial or full sunlight, and though it may tolerate dry conditions temporarily, it does best in soil that constantly stays moist. The soil should also be either neutral, or only slightly acidic or alkaline. Lemon mint tends to do best in states that get plenty of sun and that have a lot of clay in the soil. It may be seen most often growing in prairies and along the side of the road. Lemon Mint Seeds, Lemon Beebalm, Horse Mint, Wild Bergamot. Bees and butterfly attractor! Monarda citriodora Lemon mint, or Monarda citriodora, is an annual plant that is native to both the midwestern and southern areas of the United States. 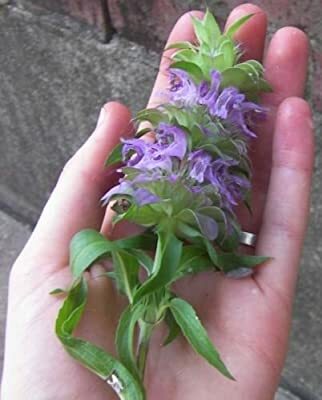 It is also referred to as purple horsemint or lemon bee balm, and, not surprisingly, it belongs to the mint family. 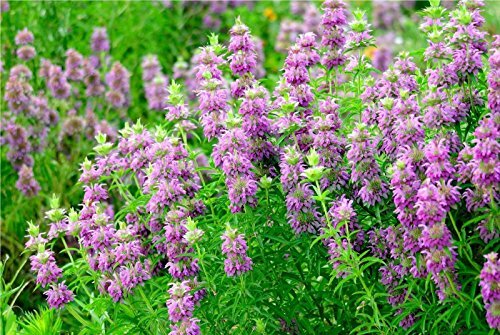 Its fragrant flowers are purple, and tend to bloom during the spring and summer. Parts of this plant can be placed into herbal teas and added to salads. The leaves are known for having a sweet smell that is reminiscent of citrus.